Jute Matting is used for temporary erosion control as protection from rainfall/run-off on shallow slopes and channel protection for low risk/low flow channels. 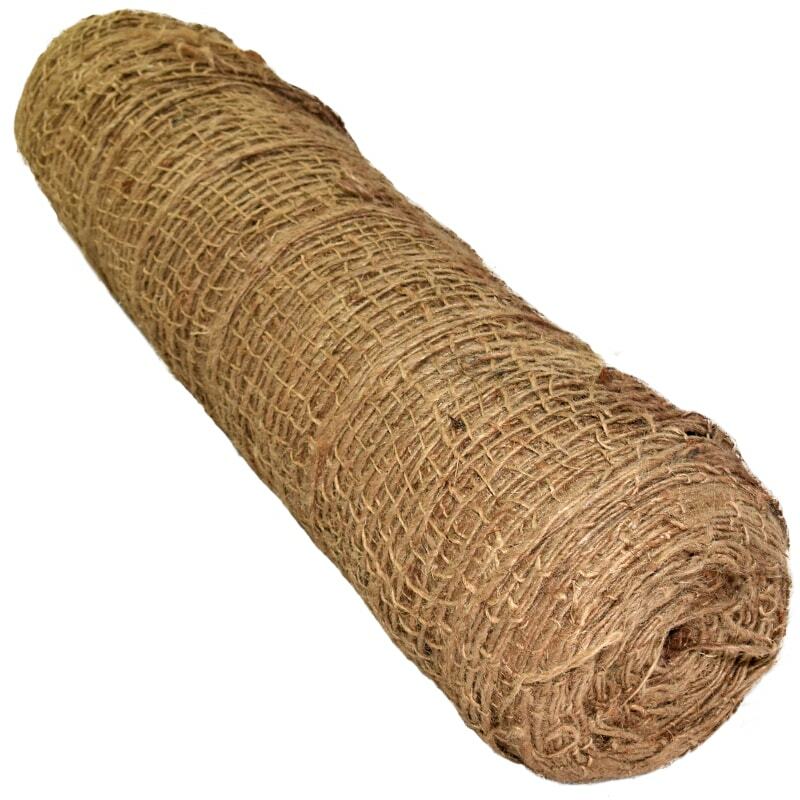 Jute matting is the original form of erosion control blanket. 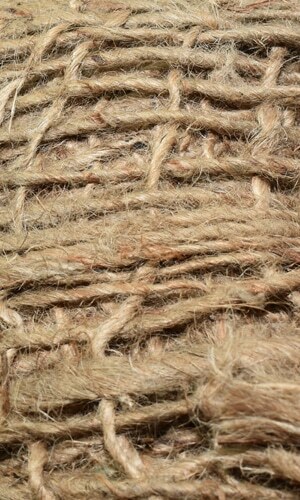 Jute is basically burlap rope and therefore 100% biodegradable over time depending on the amount of moisture available. The matting conforms to slope contours and surface irregularities. Thousands of tiny “check” dams per square yard stabilize the surface soil on slopes. Easy to apply and excellent for road, drainage, landfill and backyard slopes.